I don’t know about you, but for some reason I have a love/hate need/want-to-need relationship with calendars. I have always wanted to be the person with the calendar all up to date, in my handbag, ready to check to see what’s up for the day, week, month. Well guess what? That’s not me. It’s not that I haven’t tried numerous times, it’s simply that for some reason I can remember “all” my busy days, appointments, etc. I am not talking about months ahead, although sometimes, really I mean for the week, or two or even three ahead. That being said, I still love having the perfect calendar at home, and I am not that into the ones with the large photo and the super tiny places to write into. So when I saw all over pinterest, the idea of turning a frame into a calendar, I had to try it out. And it’s not that difficult, you need some basic math, a computer (at least I used one), ruler, frame (mine is from Ikea), a sharpie, and some plain paper and a background paper (something that isn’t too busy or full of contrast, the one I used it okay, still looking for that perfect paper). First thing, cut a piece of paper into the size of the glass of your frame, you might need to tape pieces together to get the right size, I borrowed some paper from kiddos easel. Do the math to have 7 columns and 6 rows (if you are doing a monthly calendar) with a little bit of a border around the edges. Six rows because the top row becomes where you will write the date, and the the next rows are for the weeks. I like to use 5 week rows because sometimes there are 5 weeks in a month and I am not into sharing a day box for two different days, but that’s just me. 🙂 I added a little extra square in the upper left corner of each “day box” for the date. 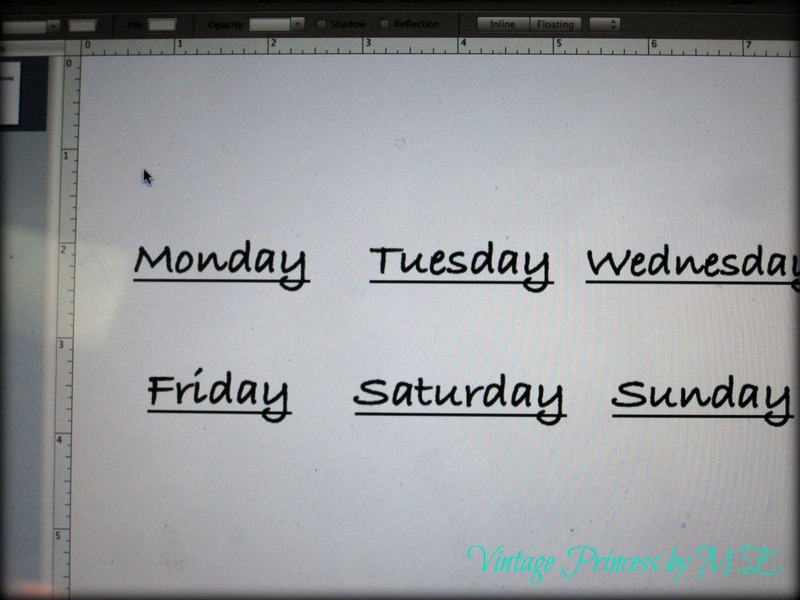 Next, use the computer for the perfect “hand writing” for the days of the week. 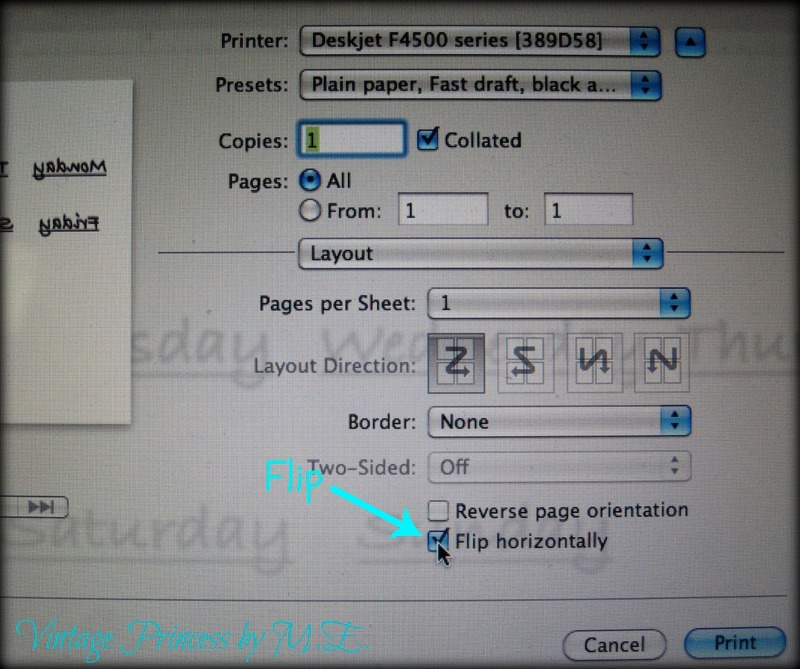 Make sure the days are underlined, this makes it easier to align on your layout page. Print…BUT WAIT! You have to print this backwards. You will be drawing all the lines on the inside of the glass (i.e. the side that touches the image inside the frame). On my computer’s print page it’s the “flip horizontally” option. Cut out your days, then align them with the top of your boxes, this is where the underline of the day comes in handy. Now you are ready to start drawing your lines. Place the glass of your frame over top of your layout. 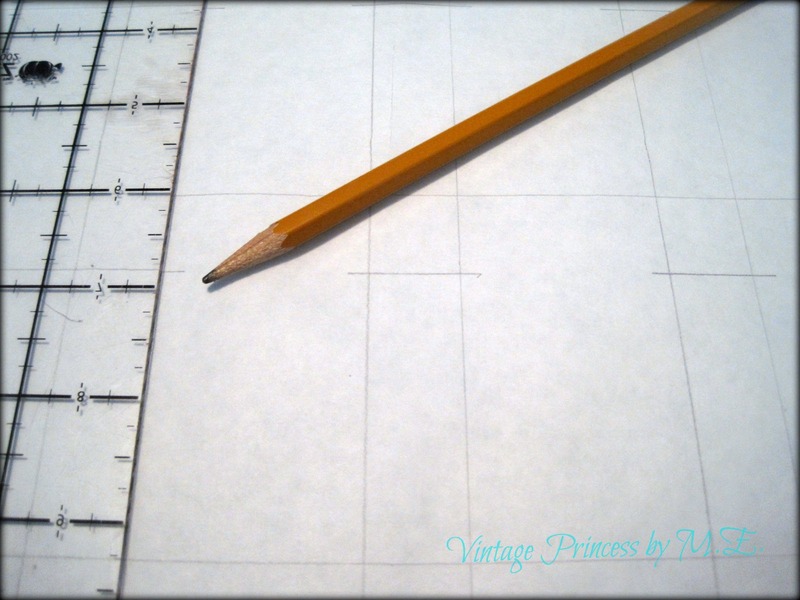 Use your ruler and sharpie to redraw all the lines. 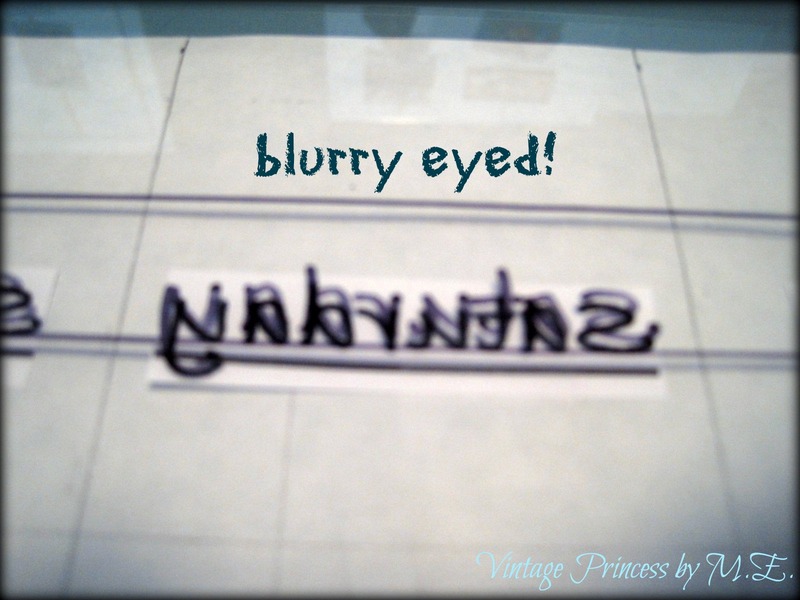 Make sure you work so that your ruler does not go overtop of the lines you just drew, then can smear. If you get a smear or mess up a bit (I sure did) then just wipe off with a slightly damp cloth and do it again. This photo makes me feel a bit sea sick..arg… back to project. 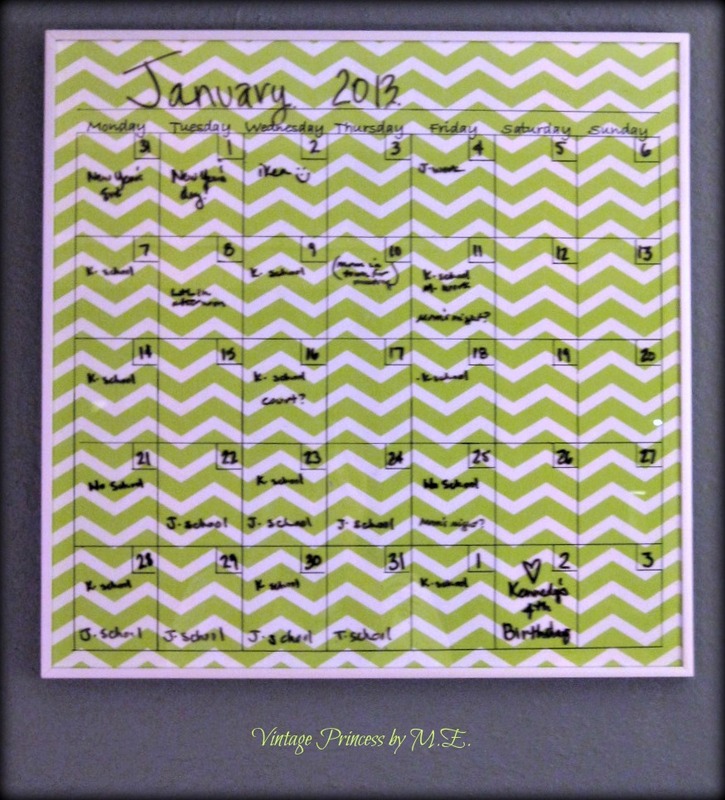 Once you have finished all the lines of your calendar add your back ground paper, close up the frame, hang on the wall and ta-da… a perfect monthly calendar. 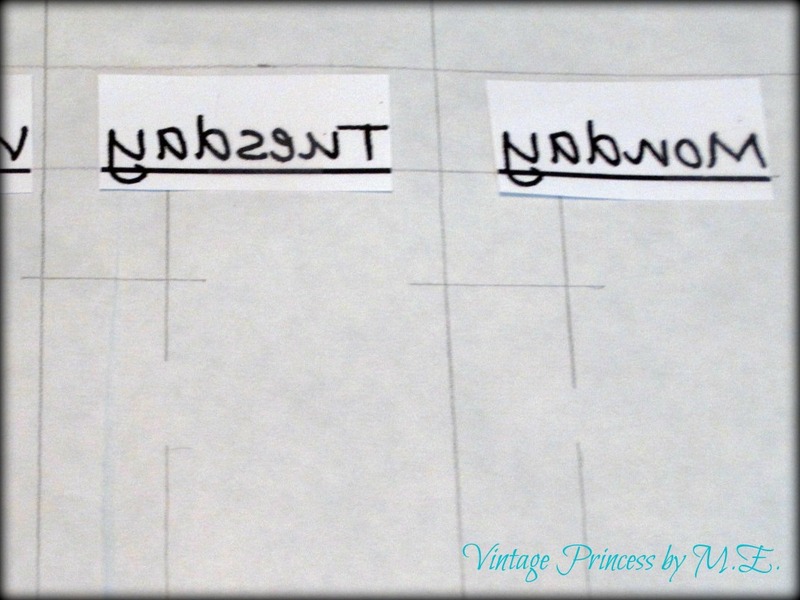 Use your dry ease maker to write on the glass, it wipes off with a paper towel and your calendar lines stay in place. What do you think? 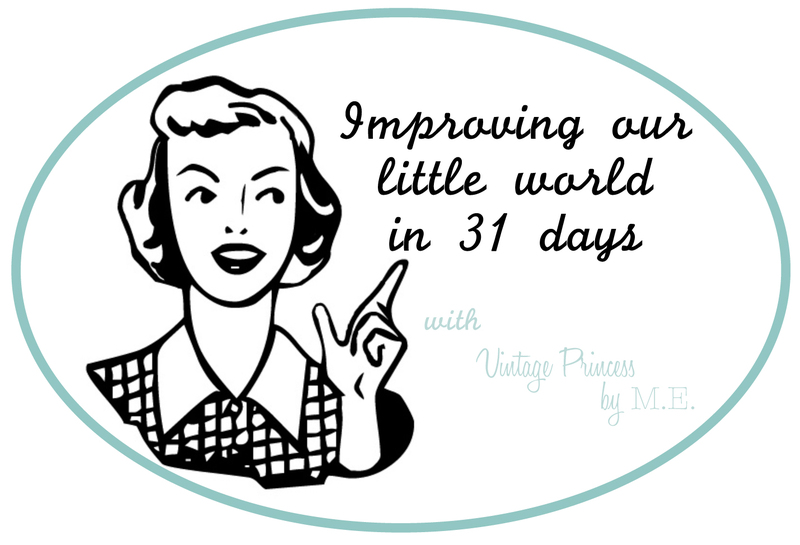 An improvement in my world for sure. Are you going to add this a project on your to do list? I would love to see the finished product if you do!